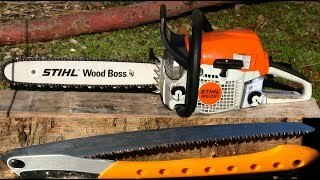 This new 2018 MS 251 WOOD BOSS for sale has 0 miles. The color is Orange / White. It is offered for sale by Cycle Town South - Ennis and located in Ennis, TX. The listing # is 48840. 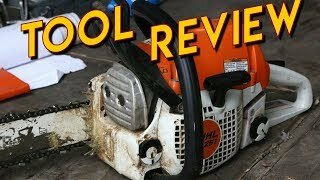 A powerful and fuel-efficient chainsaw that&apos;s comfortable to use. 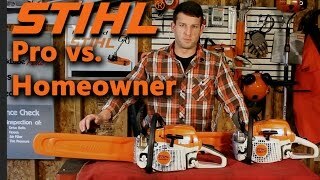 The STIHL MS 251 WOOD BOSS chain saw is designed to deliver all the power you&apos;d expect from STIHL equipment, yet with a comfortable and ergonomic design. 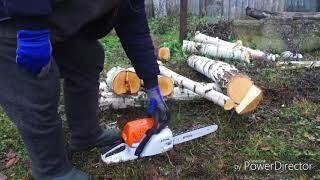 The MS 251 is perfect for felling small trees, pruning and thinning, and cutting firewood simply and efficiently. And with up to 20% fuel savings and 50% reduced emissions (as compared to previous models), you can enjoy a longer run time while feeling good about your impact on the environment. 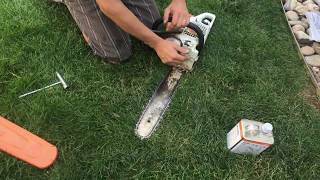 Features like a Master Control Lever and reduced vibration make the STIHL MS 251 WOOD BOSS a lean, easy-to-use machine that still packs plenty of power. The average price of a 2018 for sale is $4454.86. 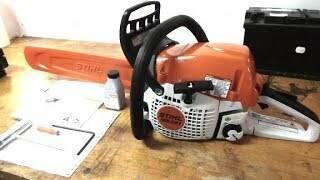 This model is priced $4114.87 less. The average price of a 2018 for sale is $6973.07. 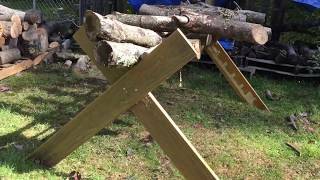 This model is priced $6633.08 less. The average 2018 for sale has 164 miles. This model has 164 less miles. There are 79 s for sale within 150 miles of Ennis, TX. If you looked at the average 2017 for sale it would cost $3486.15 more. If you looked at the average 2019 for sale it would cost $4302.42 more. 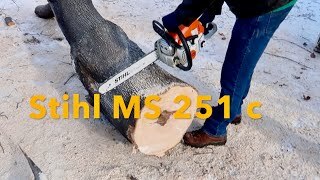 The average price of a 2018 MS 251 WOOD BOSS for sale is $296.66. This model is priced $43.33 more. 5. 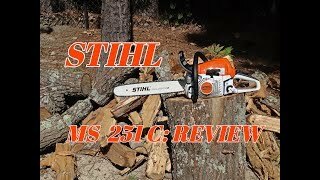 STIHL MS251 CRUSHES WOOD!